3D Lock is one of the latest trendy lock screen app, which provides stylish lock screen fashion elements, various attractive lock screen themes and several cool ways to unlock your device. Be surprised every time you light up your screen, with our beautiful collection of HD wallpapers, which not only keeps your phone safe but also helps you personalize it! Bored with your simple Android clock? 3D Lock – Lock screen themes & Security offers several delightful and exquisite clock themes for you! Checkout our Fantasy Blurry Neon Watches, Vintage Big Ben, Cool Fashion Lightning Watch and more, there is always one that you’ll love! 3D Lock – Lock screen themes & Security offers interesting ways for you to unlock your phone. You can choose different sliding directions to unlock your phone, change the sunglass’s color of our Panda theme, enjoy a cool unlock experience with the visible fantasy starlight unlock pattern! Small APK installation pack, install/update the app in no time! Low RAM usage, simple design, and our pursuit to be the best is the reason why we are popular. 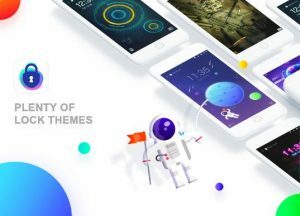 Rich collection of free themes designed by talents from all over the world! Supports various device models, such as Samsung, Lenovo, Xiaomi, Huawei and many more. Created by the world’s leading mobile security app development team. Supported by Security Master’s cutting edge-security tech, our lock screen feature ensures your phone is safe and secure.